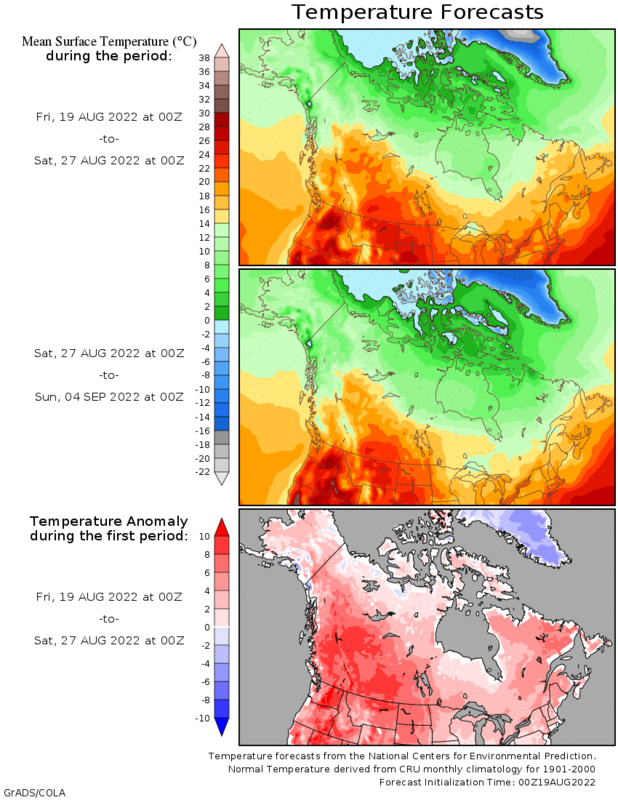 Weather forecast 2 weeks #Europe #USA #Canada. 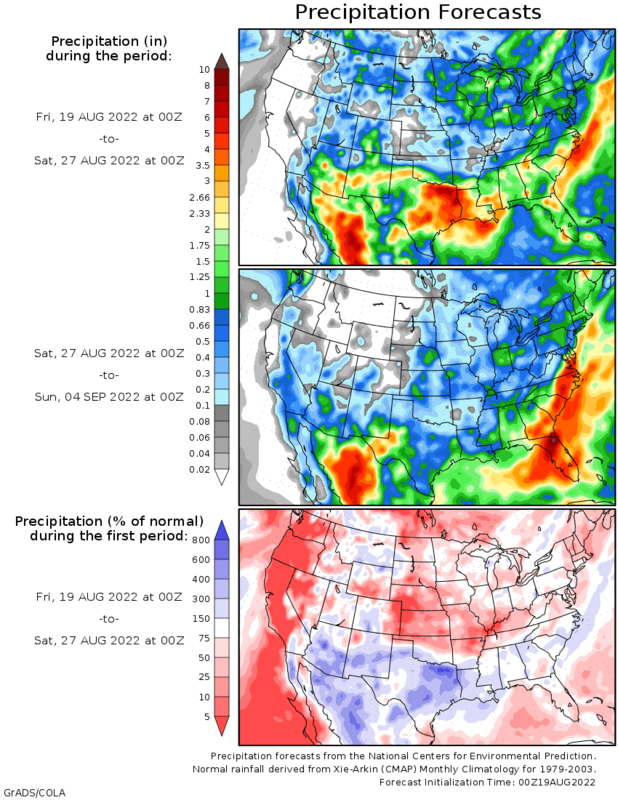 Rainfall. 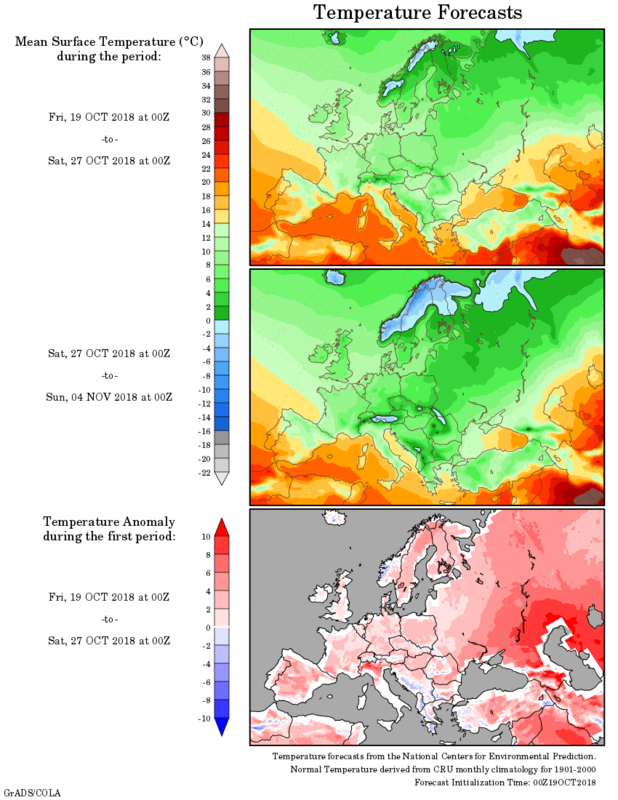 Weather forecast 2 weeks #Europe #USA #Canada (Temperaturi si precipitatii prognozate in Europa, Statele Unite si Canada saptamanile urmatoare). 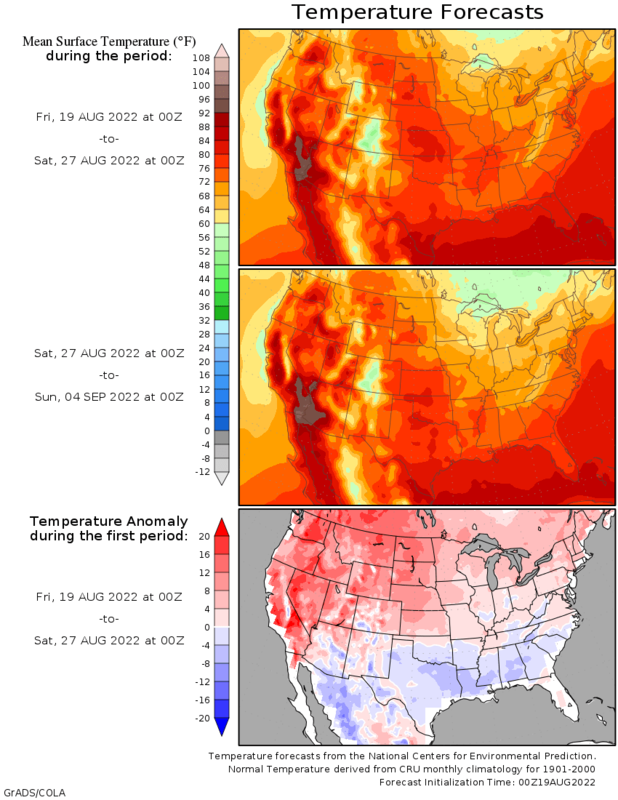 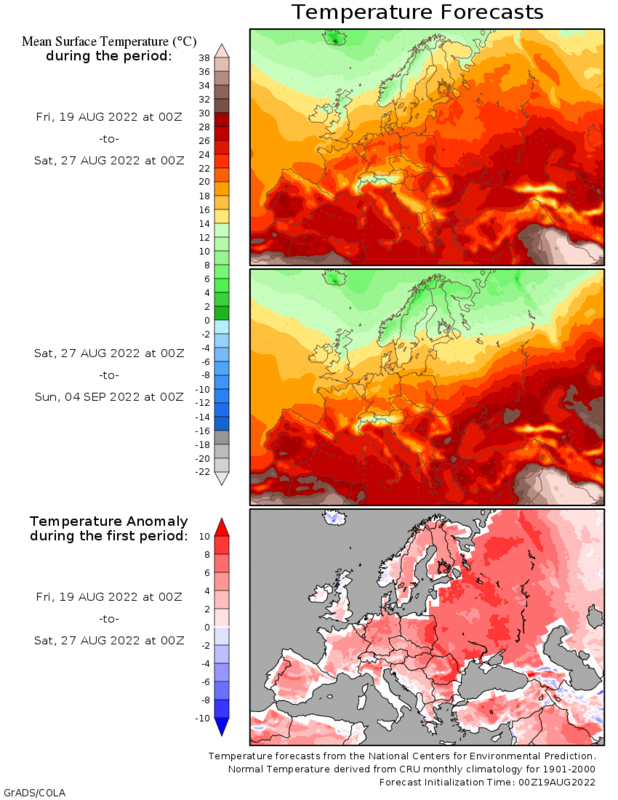 The climate outlook for temperature shows the means over day 0-8 and day 9-16. 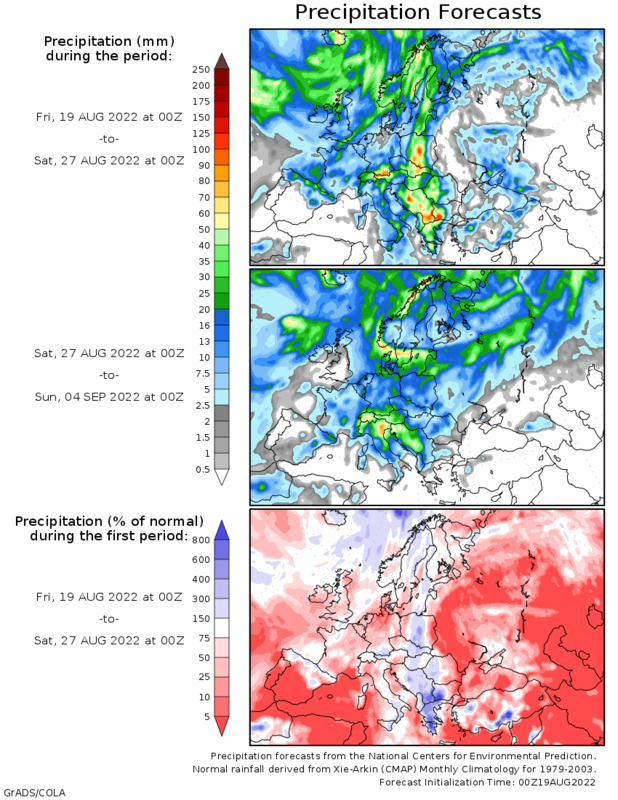 En plus the departure of the first 8-day mean from the CRU 100-yr climatology. 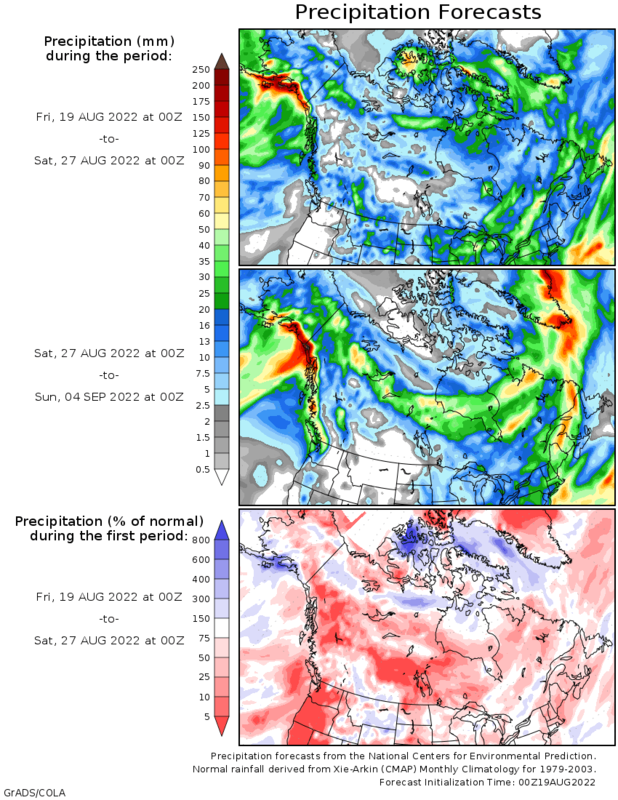 The climate outlook for precipitation shows the accumulations over day 0-8 and day 9-16 plus the departure of the first 8-day accumulation from the CMAP 25-yr climatology. 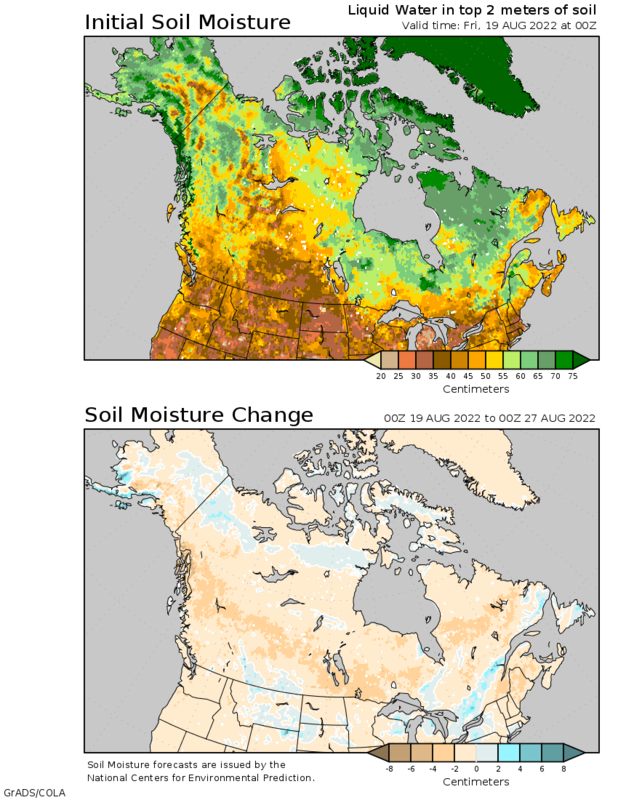 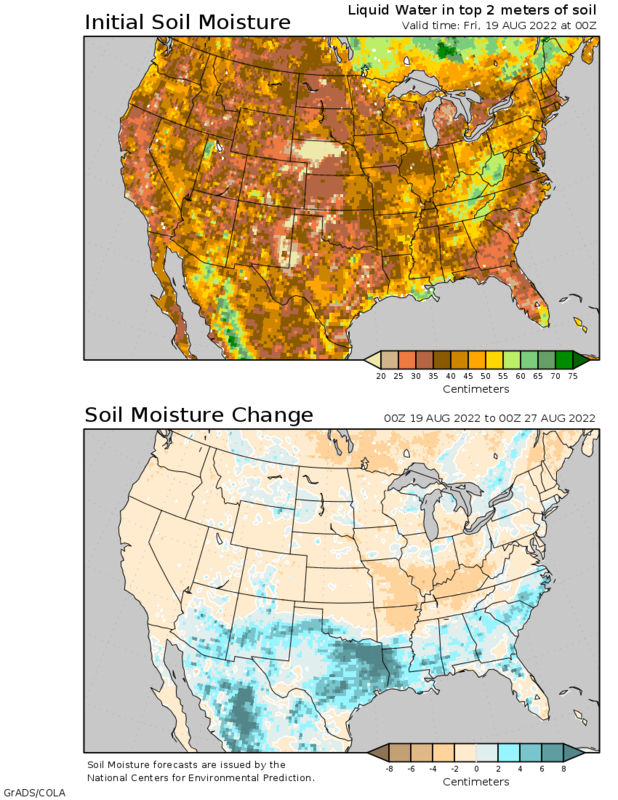 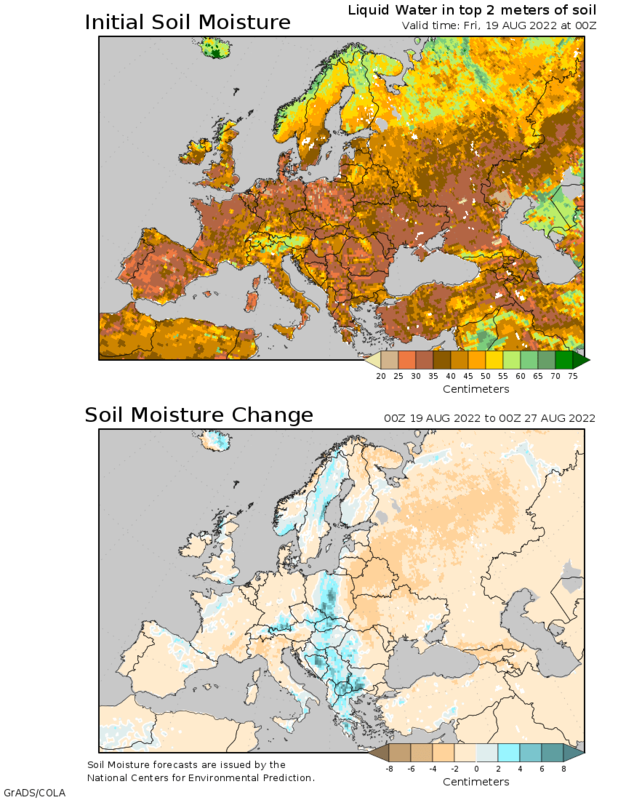 The climate outlook for soil moisture shows the current analysis and the forecasted change over the next 8 days.